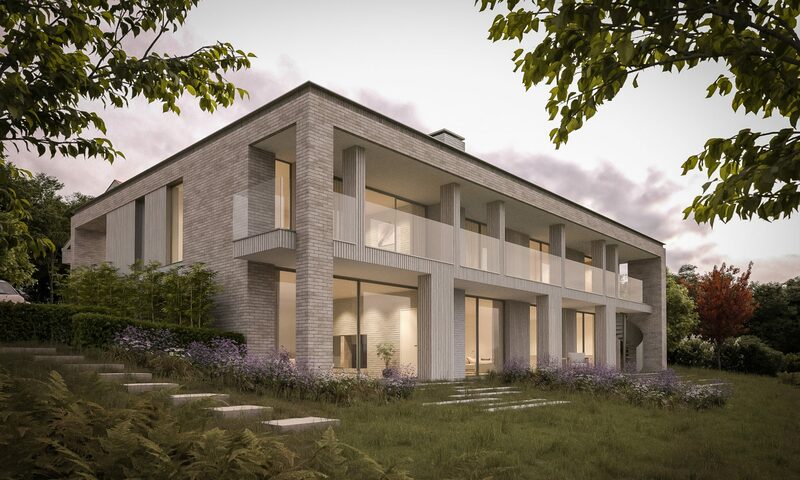 Re-Format has been granted planning permission for a contemporary dwelling within the Wealden Heaths SPA. 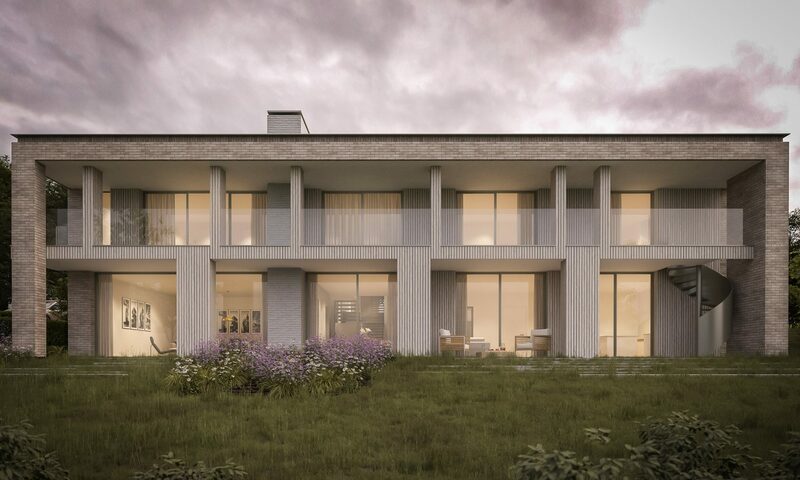 The dramatic new house is set into the hillside and has stunning and far-reaching panoramic views over Frensham and Hindhead. 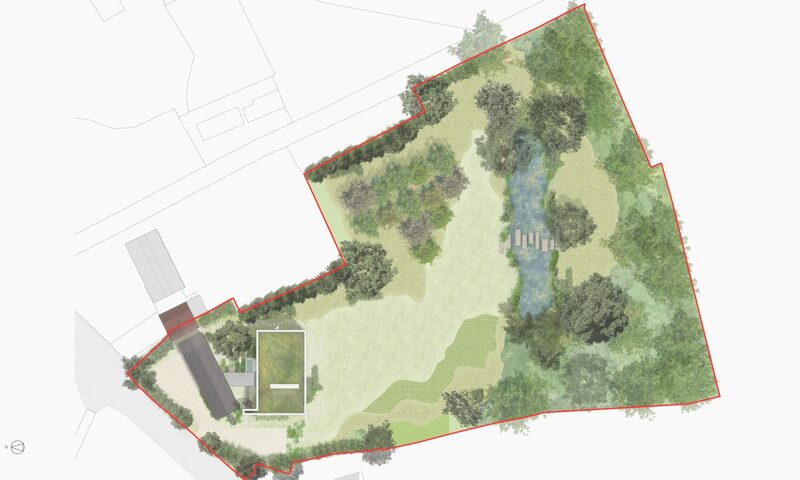 Our architectural approach was to create a form that blends well with the landscape and provides the opportunity to enjoy the glorious views of the valley. As such, the scheme has been split into two elements; the ‘barn’ and the ‘main house’. 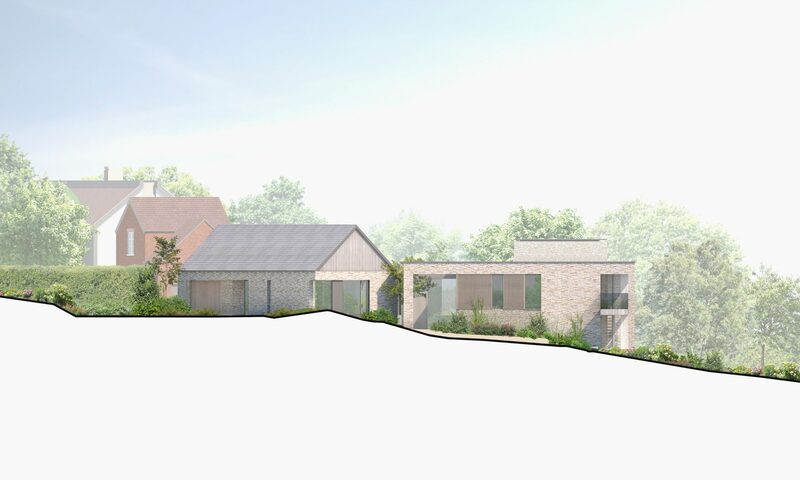 The single-story barn element, addressing Summerfield Lane, takes reference from the existing building and the site’s former agricultural use, while the ‘main house’ is a two-storey block, connected to the ‘barn’ by a glazed, minimalistic link. 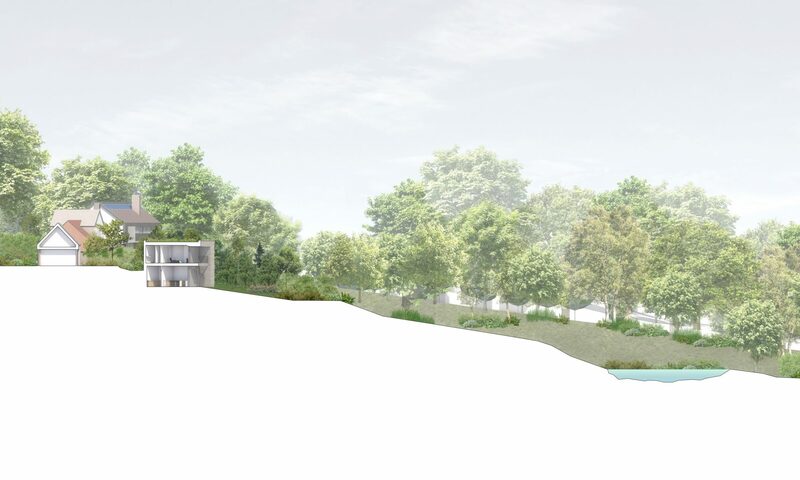 The building section follows the slope of the site, so that the main living accommodation opens onto the garden at the lowest level. “Neil and the team at Reformat have developed an outstanding design that fully meets the brief we asked them to achieve. It has been a pleasure working with the team at Reformat and we are thrilled with the final design they have achieved for the building. They have responded really well to all the points we have asked the team to consider in terms of layout and how we want the house to flow and they have taken all the constraints of the site into account to achieve an outstanding design.